Here at The A.V. Club, we love nothing more than reporting casting news for superhero movies and TV shows. Well, it’s not so much that we love it, it’s just something we do all the time because there are a ton of superhero movies and TV shows these days. 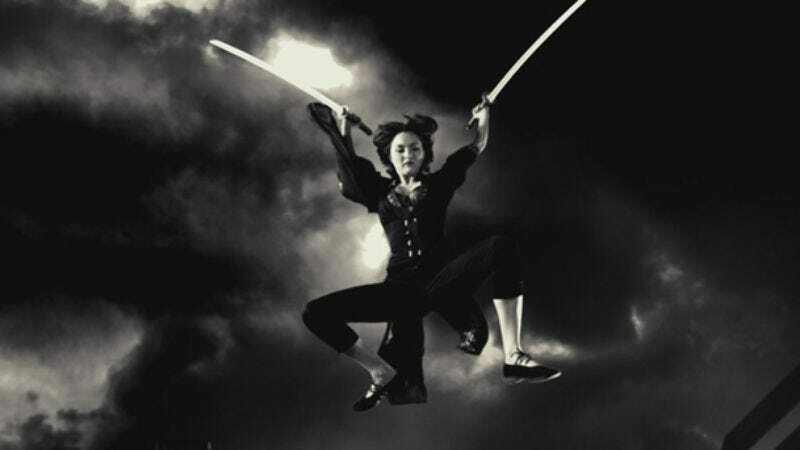 The most recent superhero news comes from Entertainment Weekly, which reports that Sin City’s Devon Aoki will be joining The CW’s Arrow as Tatsu Yamashiro, a character better known to comic book fans as Katana. At the end of Arrow’s last season, the show revealed that Oliver Queen—the man who spent five years stranded on a hellish island and was inspired to become a superhero because of the ordeal—didn’t actually spend all five years on the island. Chunks of the upcoming third season will reportedly focus on flashbacks to Oliver’s adventures in Hong Kong, which is where he’ll meet Katana and her husband. In the comics, said husband gets murdered and his soul lives on in her samurai sword, but we’re not sure if that will actually happen on the show. Arrow has kept things reasonably grounded up until now, but with the Flash spinoff on the horizon, it’s only a matter of time before wacky stuff like a soul-capturing sword starts slipping in. Also, with Katana officially slated to appear on Arrow, we know the show’s writers are still committed to digging through DC Comics’ B-list and C-list heroes and villains for story ideas. Maybe that means they’ll eventually get to The Question, an investigative journalist/moderately competent crime-fighter who would be perfect for Arrow’s universe. Please, Arrow writers. Don’t make us start working on our own Arrow fan-fiction.